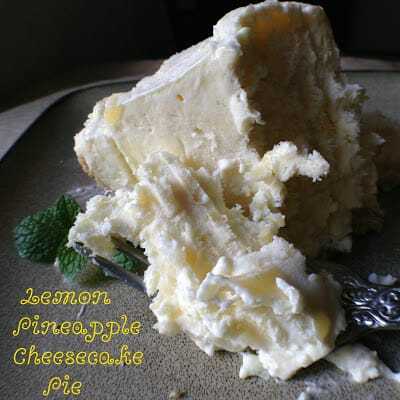 Dip into this delicious and refreshing Lemon Pineapple Cheesecake Pie. It’s the perfect way to cool off, when those hot, humid days have got you begging for something icy cold. Grab yourself a fork and a slice of pie because it’s time to take a dip! When the dog days of summer have arrived, cool off with a slice of this cool and creamy freezer pie. 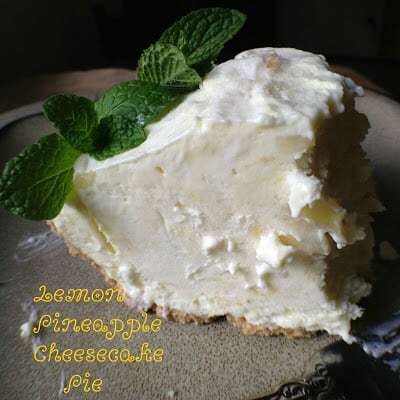 Lemon Pineapple Cheesecake Pie has just the right amount of sweetness, a nice lemony flavor and crushed pineapple adds a ‘tropical’ flare to this pie. Whats even better, this pie is stored in your freezer. Which means you don’t have to eat it all at once. When you want a slice of pie take it out, cut yourself a slice of pie, then pop it back in the freezer until next time. Your family and friends will never guess that this cool and creamy pie is made with a few ready-made ingredients. 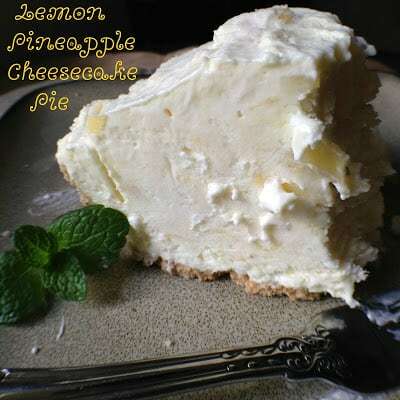 Ingredients such as; sweetened condensed milk, crushed pineapple, cool-whip, lemon juice, lemon pie filling, ready-to-eat cheesecake filling and a ready-made graham cracker crust. All that is needed to serve this pie is some plates, forks and a sprig of fresh mint. 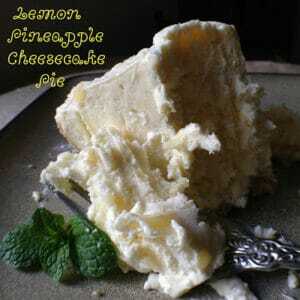 Mix together sweetened condensed milk, crushed pineapple, and Cool-whip. 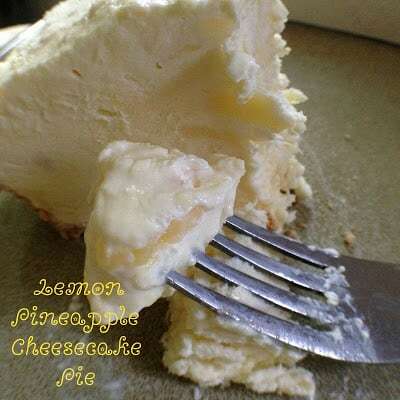 Fold in lemon pie filling and cheesecake filling. Freeze until firm, cover with plastic wrap and store in the freezer.